While making my daily check of EBay, I found another envelope from 1907, this one addressed to A. Victor Segno, 701 N. Belmont. A brief check of Proquest reveals—what’s this? A major scam artist, self-help author and wife-stealer. 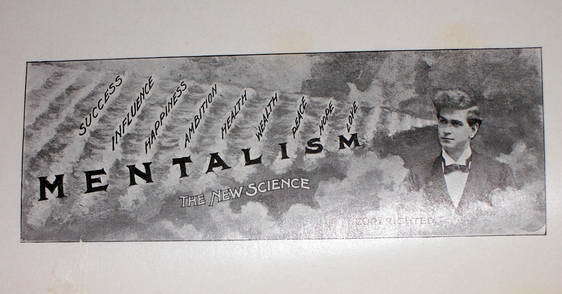 A. Victor Segno turns out to be the operator of the American Institute of Mentalism. Here’s how it works: Members agree to send Segno $1 ($21.30 USD 2005) a month. 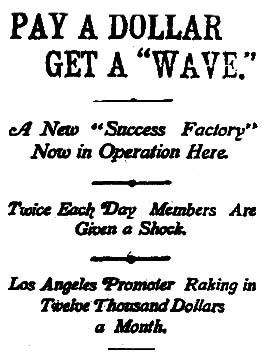 In return he sends out a “success wave” twice a day. “At the time I joined the club I was sick, but compelled to work and for very small wages. Shortly after I began to feel better. On the 7th of this month my employer sold me his stock of goods on credit. By the 21st I had paid $100 on the cost of the stock and on the 24th I sold the stock for ($300 or $800) over the cost and reserved an interest in the business. 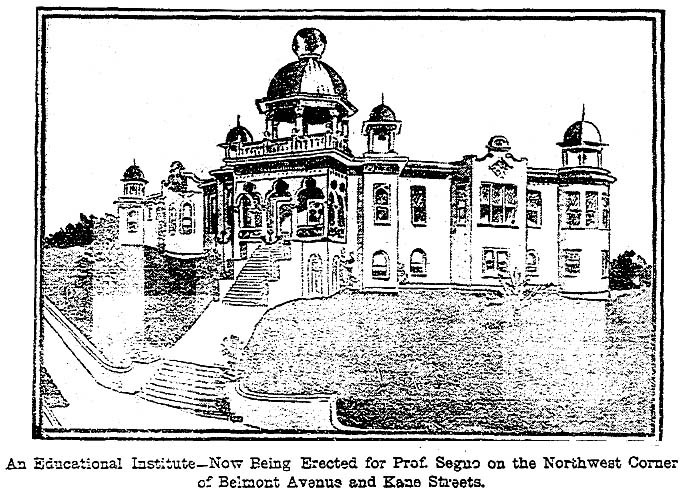 Apparently Segno did a thriving business because in a few years he was able to plan a large estate at Belmont and Kane, which was featured in The Times. The letter, addressed to 701 N. Belmont, was presumable sent to the institution on “Inspiration Point” over Echo Park, although I can’t locate it now. In 1911, however, Segno left Los Angeles, ostensibly to set up a similar school in Russia. Shortly thereafter, his longtime personal secretary, Mrs. Irene Weitzel, a recently married woman whom he had employed since she was a young girl, vanished on an alleged trip to Chicago to visit her parents. A. Victor Segno and "success waves" in action, from one of his books. Divorce eventually followed as Segno set up an identical scheme in Berlin. He returned to the United States about 1915 as the clouds of World War I formed over Europe. Thereafter, Segno vanished from the news while his ex-wife was mentioned in a 1923 story because she had married Harry T. Robinson, apparently a member of a robbery gang.